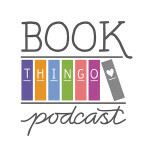 Wandergurl and I have decided to take on some reading challenges this year. We’re doing some of them as blog-wide challenges, and we’re doing some as individual challenges. I guess it’ll depend on how lazy we get during the year. We reserve the right to be lazy. You can find the list of challenges on the Reading Challenge page (link on the main menu at the top of the page). If you have any other ideas, let us know. They have to be broad enough that we can find 9 books to fit in each, but fun enough to keep us motivated. If we do go ahead with this challenge, we’ll probably need some help coming up with books to complete the list. Anyway, here are the challenges we’re definitely doing this year. All of the books have to be from either the Harlequin or Silhouette imprint. It doesn’t matter which one. 1. Read 1 book with a holiday theme. 2. Read 1 book by an author you never read before. 4. Read 1 book set in a place you’ve never been before. Rules and participants can be found in this post at the Harlequin/Silhouette Romance Reading Challenge blog. 1. The challenge will run from January 1, 2009 through December 31, 2009. 2. Since this is an author challenge, there is no restriction on choosing your novels. They can definitely be from other challenges. However, the authors must be new to you and, preferably from novels, but anthologies are also a great way to try someone new. 3. I want this to be an easy challenge, so you state how many new authors you want to try this year and then that’s your challenge. 4. Add your name to the Mr. Linky below. 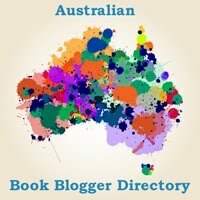 If you do not have your own blog, you can join the group blog here. 6. When you read a new author, write your review (either at your site or the group blog) and then come back here and post a link to your review. 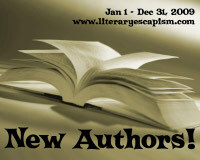 Rules and participants can be found in this post at the New Author Challenge blog. We’re going to track Book Thingo’s progress here. 1. 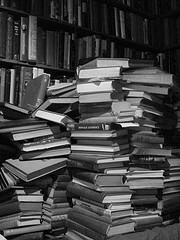 You must have read the book at least once before and the book should preferably be part of your keepers pile. More details can be found here at Nath’s blog. We’re going to track Book Thingo’s progress here. We’re modifying this challenge slightly since both Wandergurl and I are planning to post reviews. She’ll post on the last day of the month, and I’ll post on the first day of the next month. We’re using the time difference between Australia and Canada as a loophole. Rules and participants can be found in this post at J. Kaye’s Book Blog. 1. Read a minimum of 9 books first published in 2009 in your own country. 2. No children’s/YA titles allowed, since we’re at the pub. 6. Sign up here using Mr. Linky. Rules and participants can be found in this post at The Pub blog. 1. A book with a profession in its title. 2. A book with a time of day in its title. 3. A book with a relative in its title. 4. A book with a body part in its title. 5. A book with a building in its title. 6. A book with a medical condition in its title. Rules and participants can be found in this post at the What’s in a Name? Challenge blog. Are you guys doing any challenges this year? Feel free to post links, particularly for those you think we might be interested in doing, too. 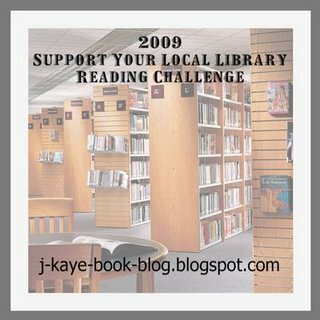 I picked the library challenge, for 50. (Suddenly I feel like I’m on ‘Jeopardy’.) Thanks for telling us about these. Laura, that’s a hefty challenge! Looking forward to reading your book list.